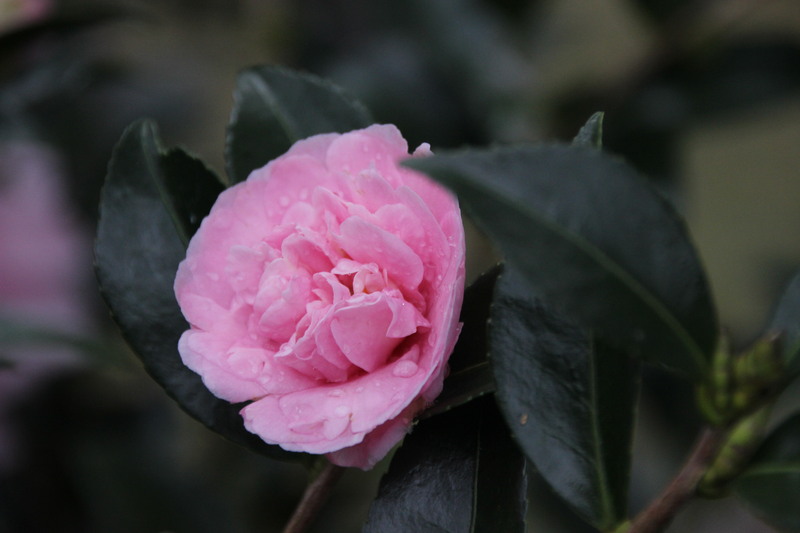 I first saw this beautiful Camellia sasanqua decades ago in a church yard. A wise (or maybe careless) person left the plant tag on it. That’s how I learned its name. This particular church has a big barbecue the same week as my daddy’s birthday. My family has gone to this barbecue every year for over thirty years. So each November, I have looked forward to eating the wonderful food and seeing this shrub in bloom. In 1994, I found a Jean May Camellia sasanqua of my own. 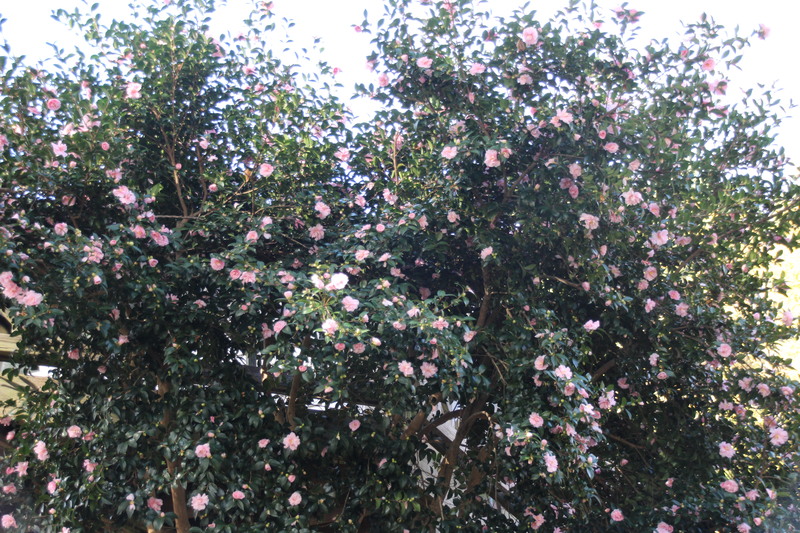 I love its evergreen leaves, its white bark, its open shape and its dreamy pink blooms. I even love when it loses its petals. It’s like pink confetti. Jean the Party Queen throwing her own fall festival. I am not sure of when this happened, but several years ago some well-meaning person trimmed the church’s Jean May. I arrived at the BBQ to find a square shrub with only a few blooms visible. No confetti. No petal party. Square shrubs make me scream. Just because there is no bite with their bark, doesn’t mean they don’t have feelings. So my dream Jean May shrub at the church is now square. But my own Jean May is a giant delight. If you have a square shrub, please at least go out and cut off its corners. You don’t want to find FLOWER in your yard screaming.